Intermediate Scaffolding training covers the scope of work to plan the job, select and inspect equipment, set up task, erect scaffold and scaffold equipment and dismantle scaffold and scaffolding equipment. Participants must be over 18 years of age. This unit specifies the outcomes required to erect, alter and dismantle scaffolding at the Intermediate level which includes use and operation of Cantilevered crane-loading platforms, Cantilevered and spurred scaffolds, Barrow ramps and sloping platforms, perimeter safety screens and shutters, Mast climbers, and tube and coupler scaffolds (including tube and coupler covered ways and gantries) for licensing purposes. NOTE: This unit has a pre-requisite requirement. This requirement may be met by either the successful completion of the unit CPCCLSF2001A Licence to erect, alter and dismantle scaffolding basic level or holding a valid licence for basic scaffolding. Risk assessment and management procedure at an intermediate scaffolder level. Cantilevered, spurred and tube and coupler scaffolds to be of a minimum height of 5.0 metres above the supporting surface with full edge protection, for each work platform including toe boards and handrails. Apply safety screen to tube and coupler scaffold. 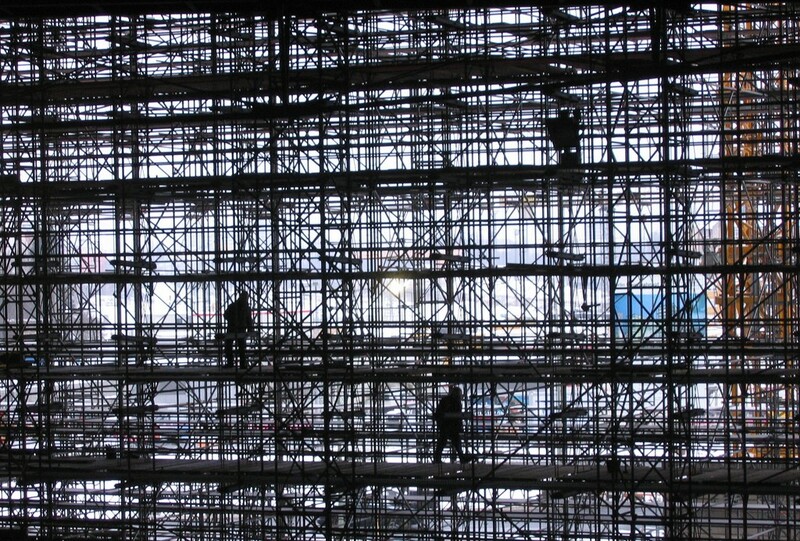 Compliance inspections of scaffold and scaffold equipment for intermediate scaffolding. Complete handover certificate as required.